At 8:30 am, there was a bustle of people with their haute couture bags, perfectly set makeup, men in their suits and women with their stacked heels all entering the store before the 10 am opening of the store. Even before the store opened there were already visitors waiting around for the store to open. 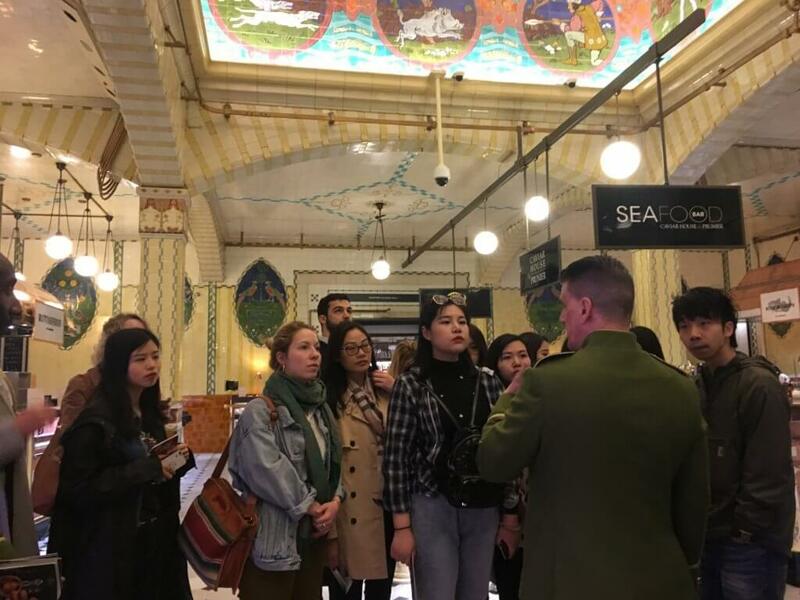 Our guide, with his chartreuse colored jacket, full of interesting facts and figures about the store, gave us an amazing tour of the opulent store. He was the perfect indicator of someone who was proud of the work he did. This luxury store had so much history and glamour, it even had an art gallery with the works of Picasso. He took us through the most historic part of the store to the most luxurious areas. They have over 3000 employees and from every country in the world speaking many languages. For Christmas alone it takes about 3 months to train the temporary extra staff to prepare for the holiday rush. We took a very long walk through their food court, where he showed us food from all over the world and the quantity of products that are imported into the store. They sold Kobe beef, French patisserie, a brevy of Russian caviar, and coffee that costs over a 1000 British pounds a kilo and even coffee that contained gold flecks in them. There was so much information that I could not retain it all. Some things I can recall is that it was an entire block long with 29 restaurants just inside. The department store probably takes about a half a day to go through. 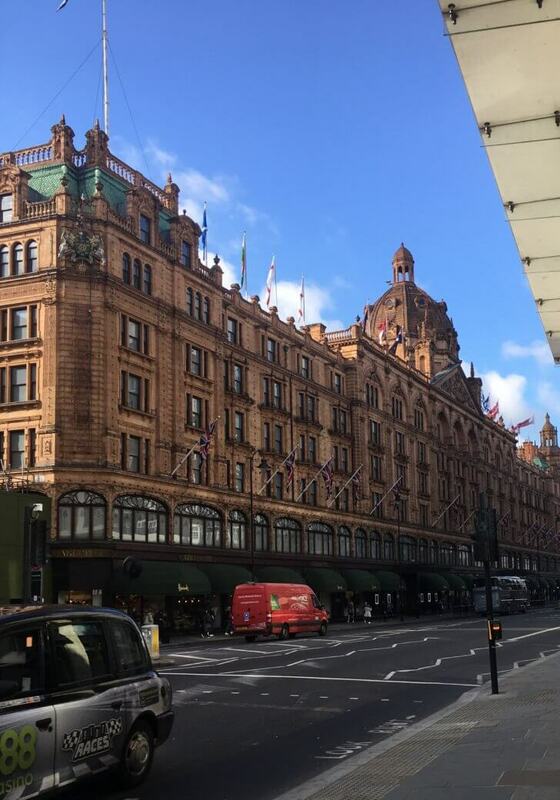 It’s not just a destination for shoppers and tourists but a place to see a piece of London history.